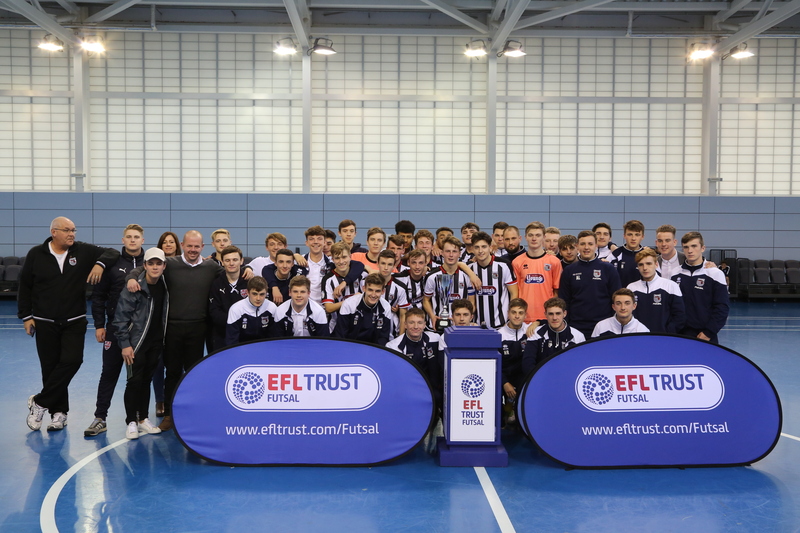 Grimsby Town Sports and Education Trust will be holding a trial for Y10 and Y11 students who may want to represent Grimsby Town’s U19 Futsal side when they leave school. The trial will take place on Thursday 11th April 2019 in Franklin College Sports Hall from 4.30-6.00pm. It will be a practical training session so participants should wear appropriate indoor futsal/football training kit. 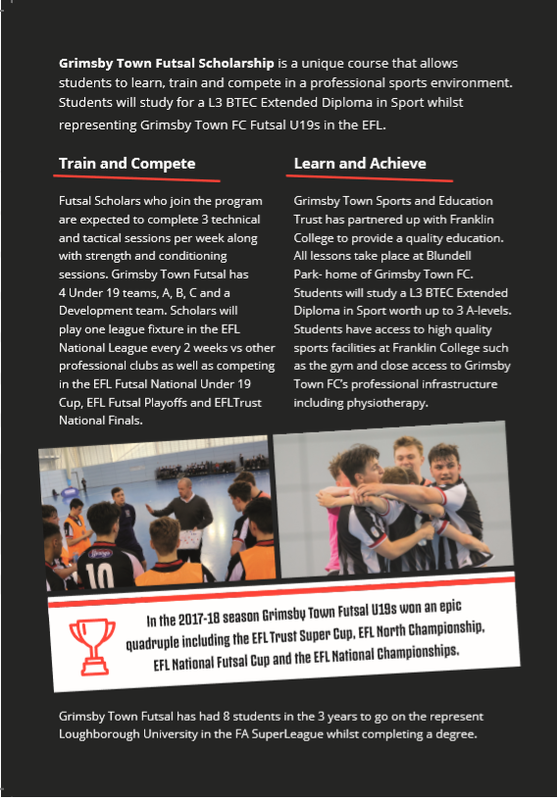 The trial allows applicants to get a taste of the daily life of U19 Futsal Scholar at Grimsby Town Futsal. 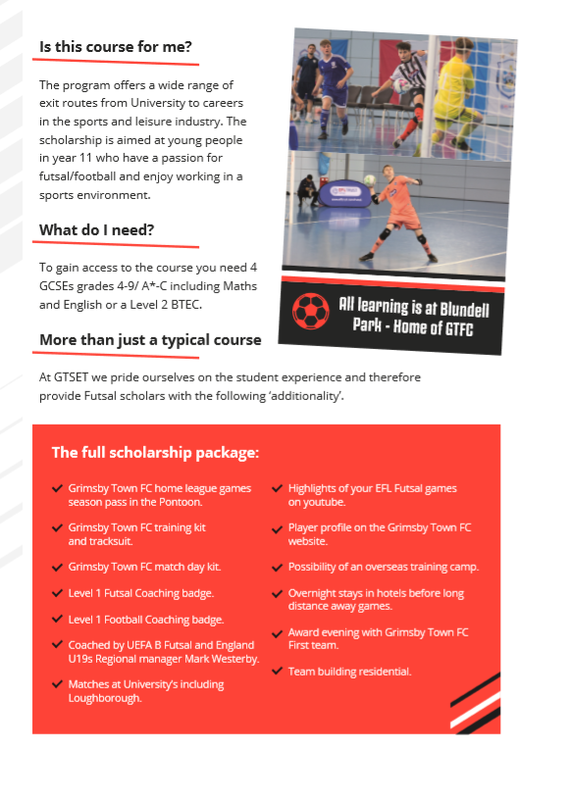 Anyone is welcome to attend as long as they are male and in Year 10 or Year 11 at school (or a first year college/6th form student that may want to transfer course). We would ask you to fill in some details on the contact us form if we don’t already have your information. 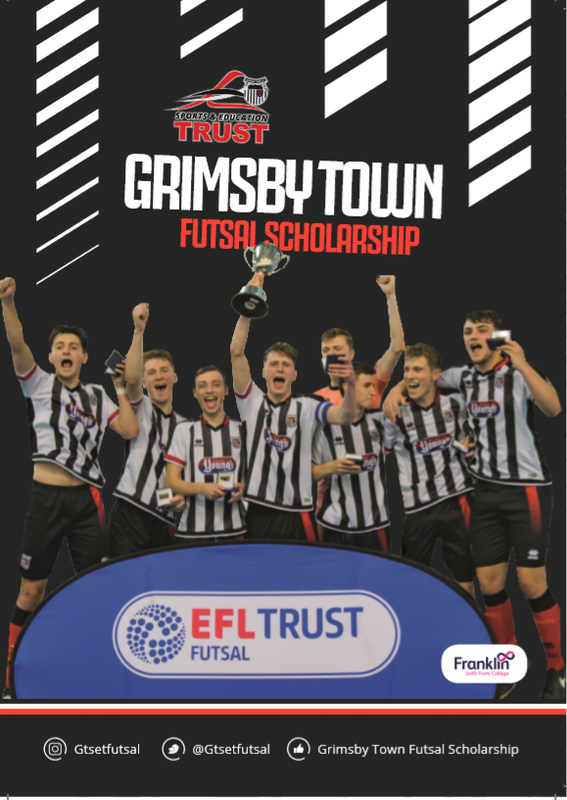 If you would like more information on the Grimsby Town Futsal Scholarship please select the link. Or watch the video at the bottom of the page. If you have any queries regarding tomorrow please feel free to contact us.